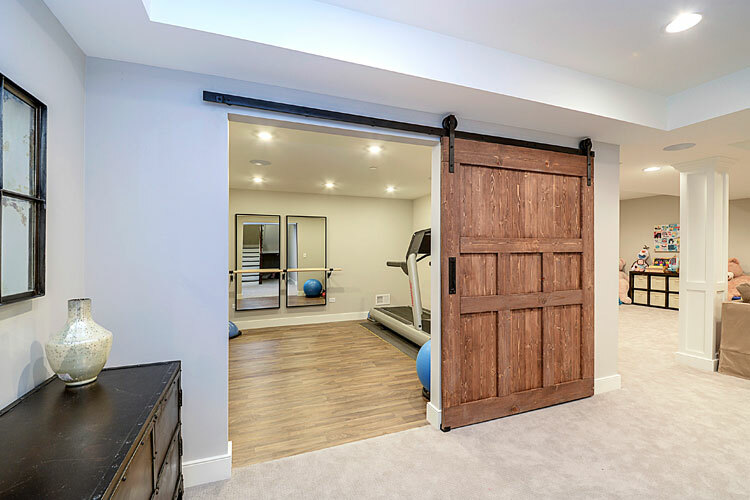 From those late-night ping-pong matches, to your friends’ cheers during the final seconds of the big game, a basement shouldn’t be a dark, dingy place to store boxes. Whether you’re looking for a space for yourself or the kids, we’ll help you utilize that extra space to meet your family’s changing needs. Are you tired of tripping over your kids toys in your family room? Do you want to have a place where your teenager can hang out with their friends? 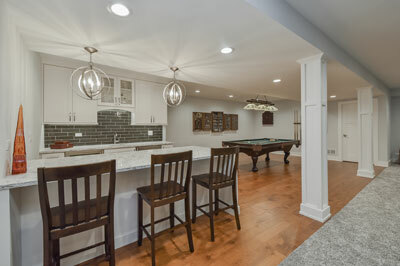 A finished basement remodel is one of the most cost-effective remodeling projects you can do in your home. Transforming a cold, damp, dark, dingy basement into a warm, dry, bright, beautiful finished lower level isn’t easy. 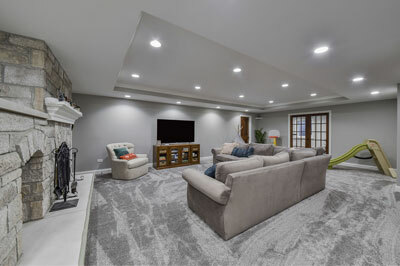 Here at Sebring Design Build, we have established a reputation in Naperville and the surrounding suburbs as the best choice for finished basement remodeling. 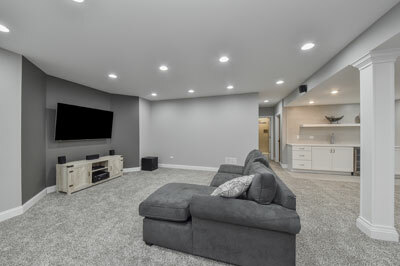 Because we have remodeled or finished more than 400 basements since 1999, we have fine-tuned a step by step process that will make it seem easy. 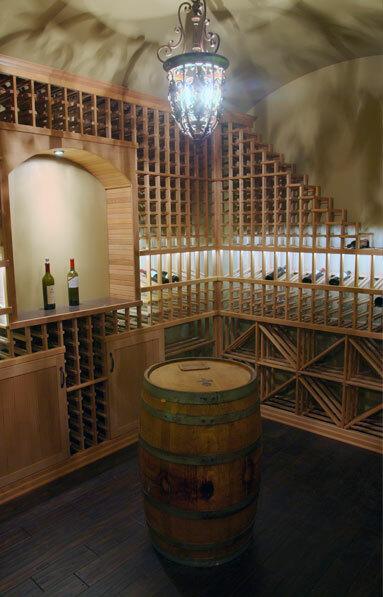 Whether you simply want extra living space to watch a movie or a custom wine cellar to store your collection of fine wine, we can design it for you. 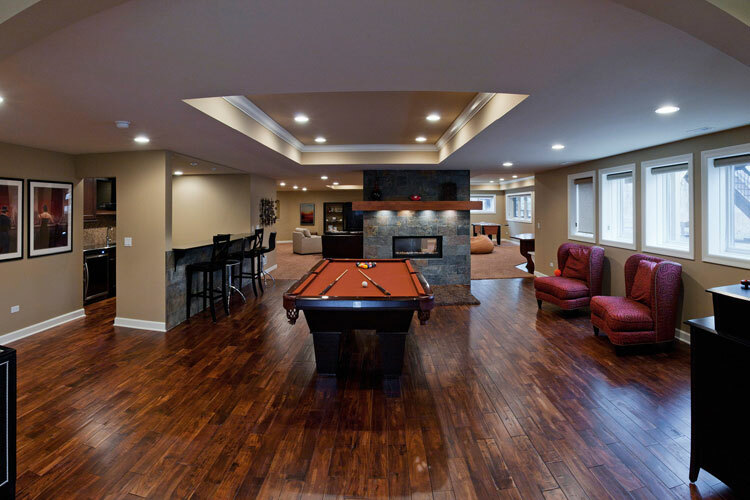 Your finished basement remodeling project is custom tailored to fit your needs. Over the years, we have created a following of happy clients in Downers Grove, Wheaton, Glen Ellyn, Plainfield, Aurora, Naperville and all of Dupage County. Check out our online reviews on reputable websites such as Google Review, Houzz, Angie’s List & Yelp. 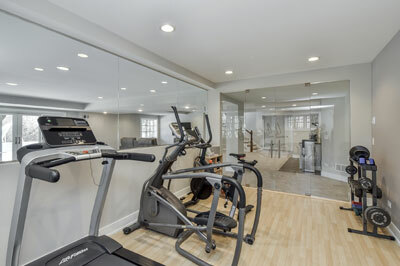 We have finished enough basements that we know how to turn your ideas into your new dream basement.